Showing parent-child records in drop-down lists is a common requirement of business applications. 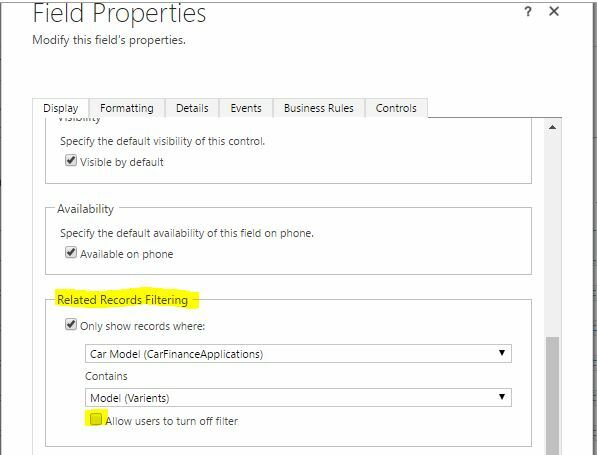 In Dynamics CRM same behaviour can be implemented by using multiple lookup fields with “Related Records Filtering” which is an out of box CRM feature. 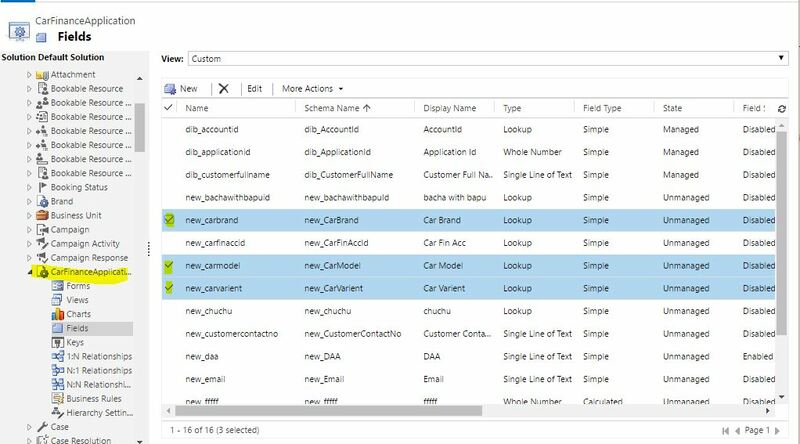 For this demo consider an entity “Car Finance Application”, which needs some related details like car brand, model and variant. 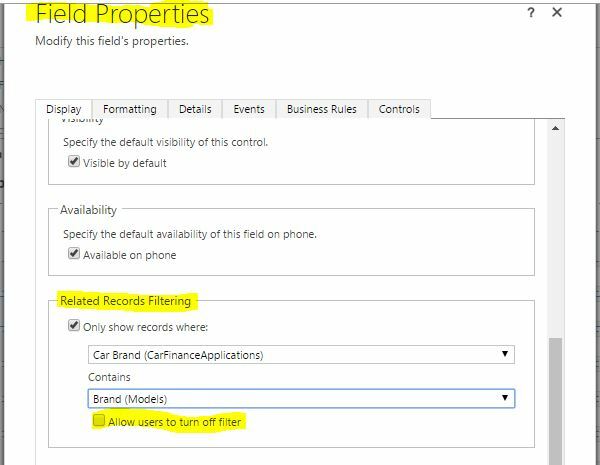 Form and lookup fields have been configured and selecting brand will show relevant models. 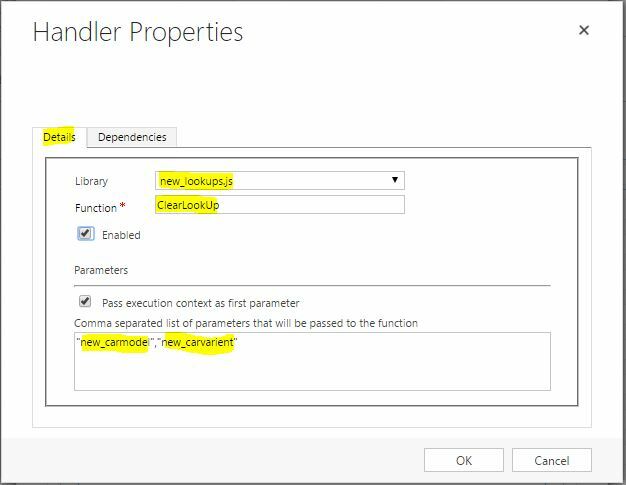 As user selects a model, variant look up will list relevant records but there is a catch. If user changes brand or model after selecting variant, values in three lookup fields will not be in sync. Saving record in such scenarios will basically save incorrect data and you will agree many times even user will not realise this. 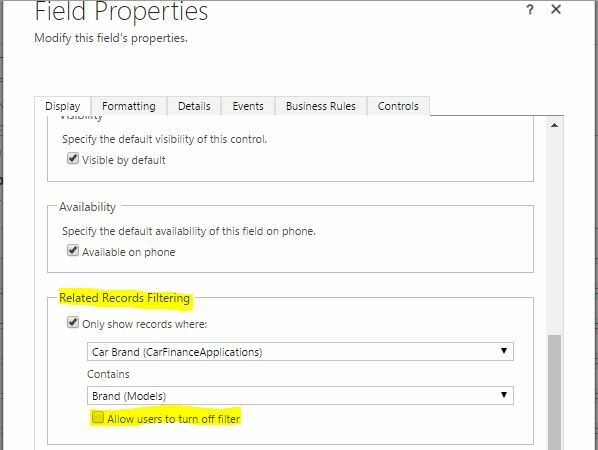 An easy approach to fix this issue can be to reset model and variant look up fields when brand field changes and reset variant lookup field when model field changes. Double click on “Model” lookup field and call “ClearLookUp” function on its “onChange” event. 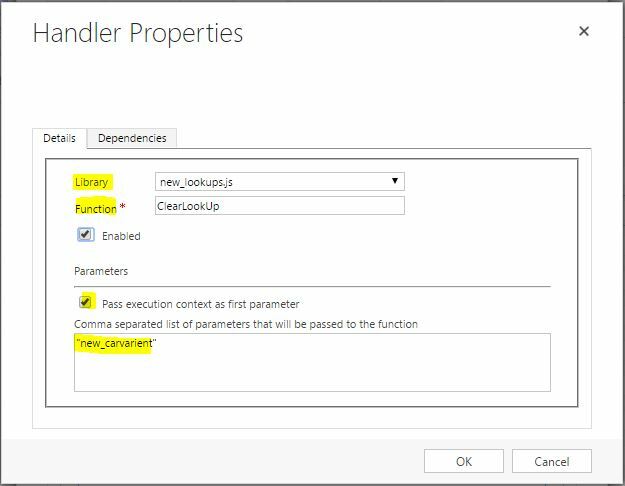 Pass execution context and name of lookup field(s) as a comma-separated argument. Before this post, I found a similar implementation by Rashan which I have improved.